Bill C-262 provides a legislative framework for the federal government to now move forward with the important and urgent work of implementing the Declaration. Bill C-262 would require the federal government to collaborate with Indigenous peoples in developing a national action plan to implement the UN Declaration. C-262 also calls for a collaborative process to ensure that Canada’s laws live up to the human rights affirmed in the UN Declaration. In Canadian legal tradition, international human rights instruments are considered as relevant and persuasive sources of interpreting human rights domestically. Canadian courts and tribunals are already using the Declaration in this way. 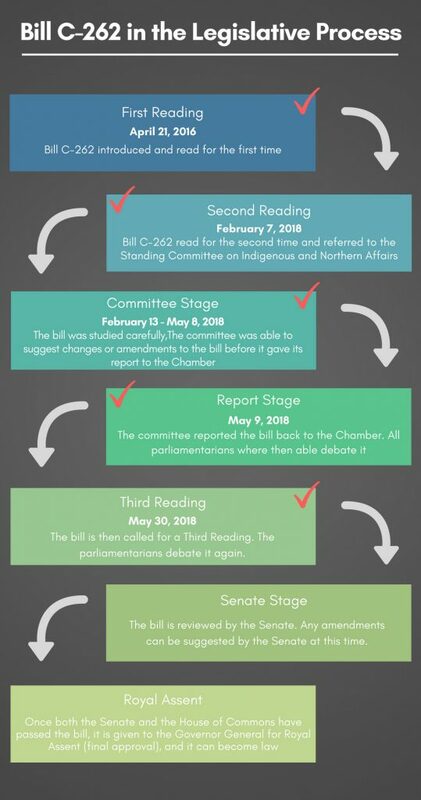 As a legislative framework that includes regular reporting to Parliament, Bill C-262 also provides the means to hold this and future governments accountable to the commitments that have been made to honour and respect the rights of Indigenous peoples. The Truth and Reconciliation Commission clearly told us that reconciliation requires hard work by all sectors of society. Adoption of Bill C-262 is a vital part of this journey. Our governments and organizations strongly believe that the collaborative, non-adversarial approach set out in Bill C-262 is in the best interest of all Canadians. We strongly encourage all Members of Parliament to actively support Bill C-262 from this principled perspective. 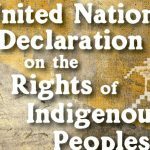 Learn more about the UN Declaration on the Rights of Indigenous Peoples.